Pictures from the News – (21 cards) What has happened? Good for practicing present perfect passives too. Why? – (32 cards) Present perfect (continuous) to explain a present situation. More Why? 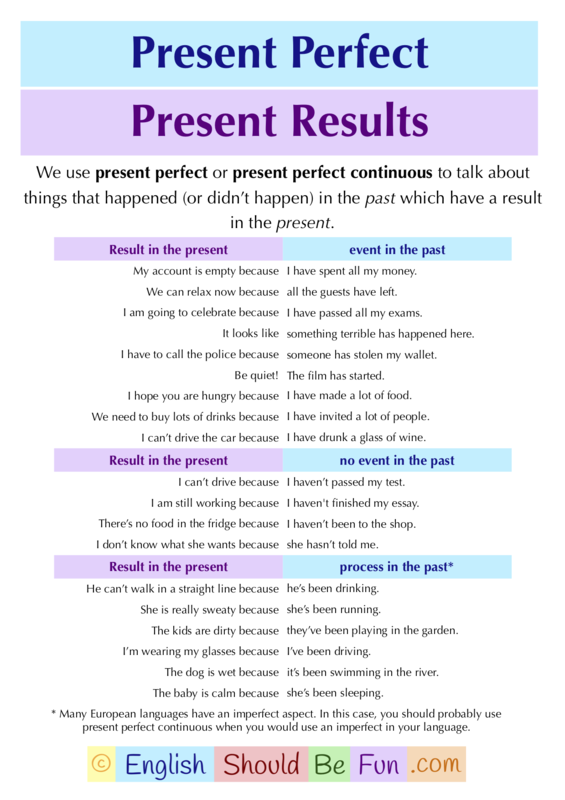 (20 cards) Present perfect (continuous) to explain a present situation.